• New debates and Further directions. This volume showcases critical syntheses of the established literature on key topics and issues and, at the same time, reflects upon and engages with cutting edge research and new directions for study (as emerging within social media). A wide range of languages are represented, from Japanese, Greek, German and Scandinavian languages, to computer-mediated Arabic, Chinese and African languages. 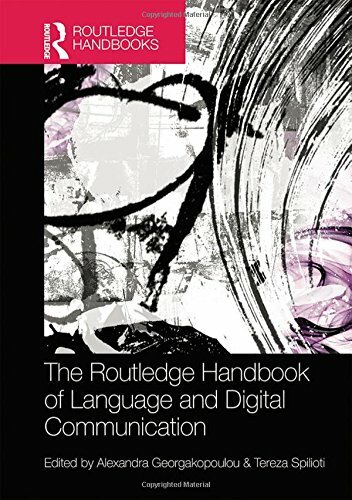 The Routledge Handbook of Language and Digital Communication will be an essential resource for advanced undergraduates, postgraduates and researchers within English language and linguistics, applied linguistics and media and communication studies.